I’ve been surrounded by knitting my whole life. My Nana is a particularly prolific knitter. 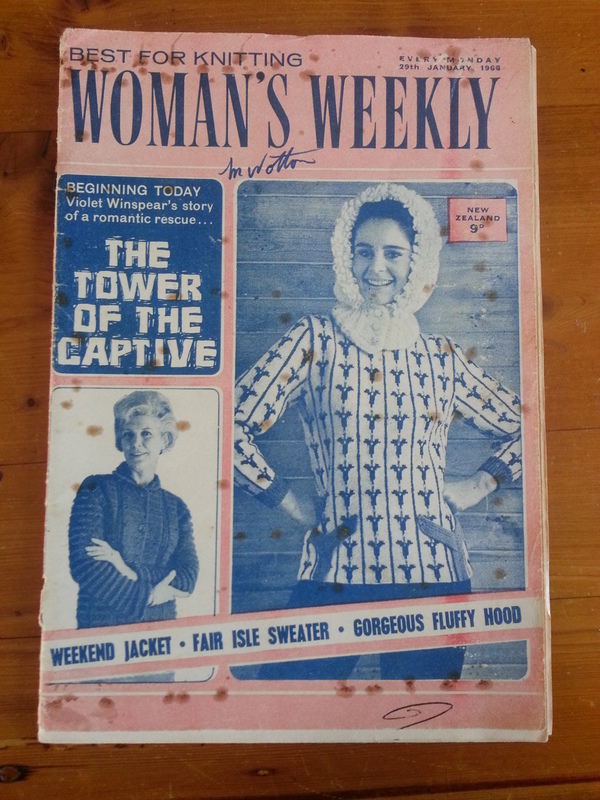 She was actually a professional knitter when my mum was a kid, doing piece work at home, and knitted garments that ended up photographed for the front of Sirdar’s patterns! As a youngster I remember that if Nana was sitting, she was knitting. There was a phase during her 60s when she cut back on the amount of knitting because she got really busy hiking, kayaking, abseiling, and tramping in the Himalayas, but then the youngest of my cousins was born (the first girl since me, 20-something years earlier) and the needles came out again, and I don’t think she’s stopped since. Don’t worry; she hasn’t given up on adventure and still walks at least an hour a day (I’m not entirely sure we’re related). Mum has also always been a knitter, then a few years ago started getting into it with gusto and since then her stash and her output have both increased exponentially, although I’m not even sure of the physics of that. Seriously, her stash is AMAZING. But despite being surrounded by knitting my whole life, I did not have any desire to knit. I picked up all of my other crafty instincts from Mum, but not that one. Mum tried to teach me when I was young, but I didn’t enjoy it as a process. I thought a lot of knitted stuff was ugly. It seemed like a slow and tedious process to produce something. And really, as someone who sews, makes jewellery, does cross stitch, does silk ribbon embroidery, and potters around with craft in general, and has a stash for each, I needed another hobby like I needed a house to fall on me. Mum was disappointed as she really wanted to teach me to knit, but I was determined. I Would Not Knit. First, I had a few occasions to wish I had a nice, portable craft that didn’t require complicated machinery, specialist tools, or careful focus. Second, my interest in vintage inspired looks and the vintage blogs I follow often showed lots of lovely pieces of knitwear that I would actually be seen in. And third, seemingly en masse, the sewing blogs I follow all started sprouting knitting projects. Beautiful, not ugly, knitting projects. So December 2011, three days before Christmas, on holiday at Mum’s, I announced “Mum, I have terrible news. I want to learn to knit.” Mum squealed, she hollered, she did cartwheels, she booked a skywriter and fireworks. Gloat much Mum? Between my announcement and Christmas Day, Mum procured a learn-to-knit kit that made it under the tree with my name on it. And then on Christmas afternoon, we sat there and Mum taught me to knit. I banged a bunch of different stitches together as she taught me different techniques and I ended up with an odd “sampler” of my learning. Surprisingly to both of us, I picked it up really quickly. My tension was tight, but even. I would make mistakes and ask Mum to fix them and she’d laugh and say “well, yes, that is a mistake for what you’re trying to do – but it’s actually an advanced technique you’ll get to later”. We covered knit, purl, and a variety of standard combinations, cast on and cast off, increases, decreases, and some lace techniques. The kit included yarn and instructions to make a stocking stitch scarf with a garter border. 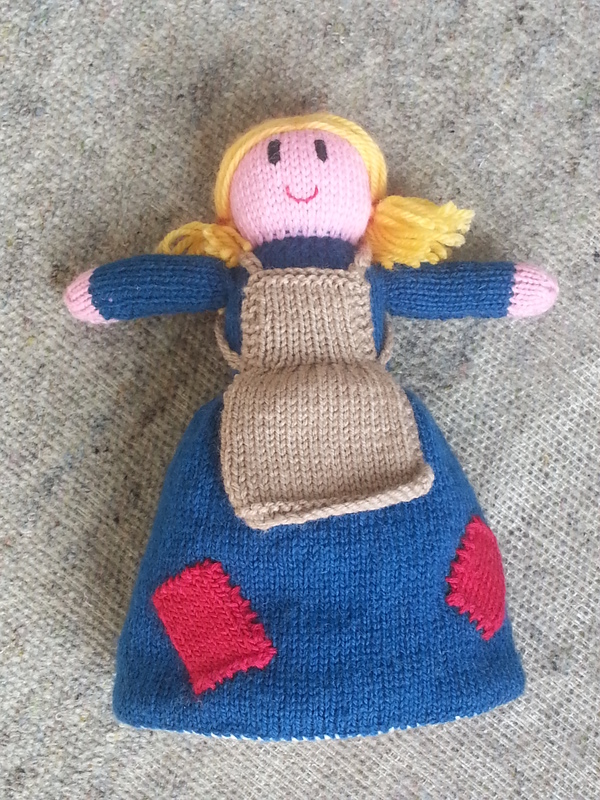 But after knitting my sampler, Mum decided the scarf was too easy and would bore me, so she dug around in her stash and produced the pattern and yarn for a doll. 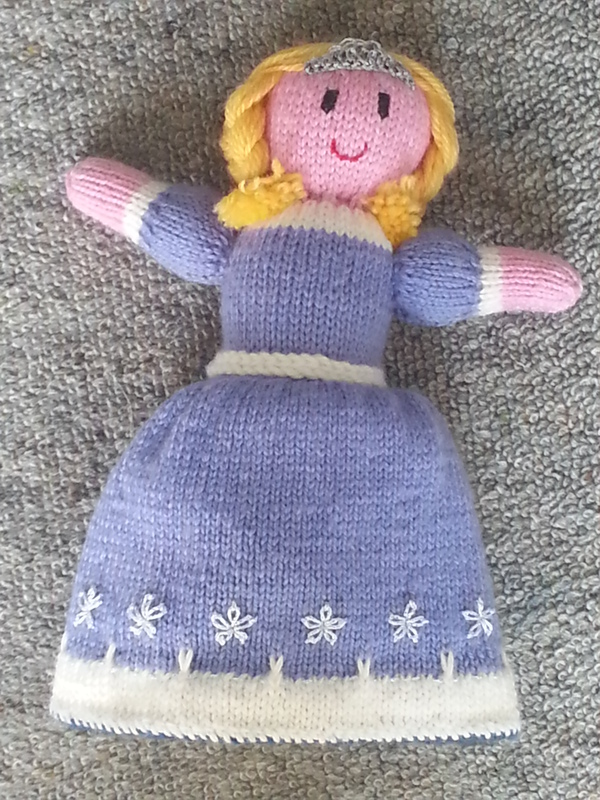 Mum figured a doll was a chance to practice the basic stitch combos, increases and decreases, casting on and casting off, and seaming, but it didn’t need to fit anyone at the end so tension was less important, and any mistakes I made would be tolerable. And it was something she could produce the materials for from stash that very minute, so I could start straight away! 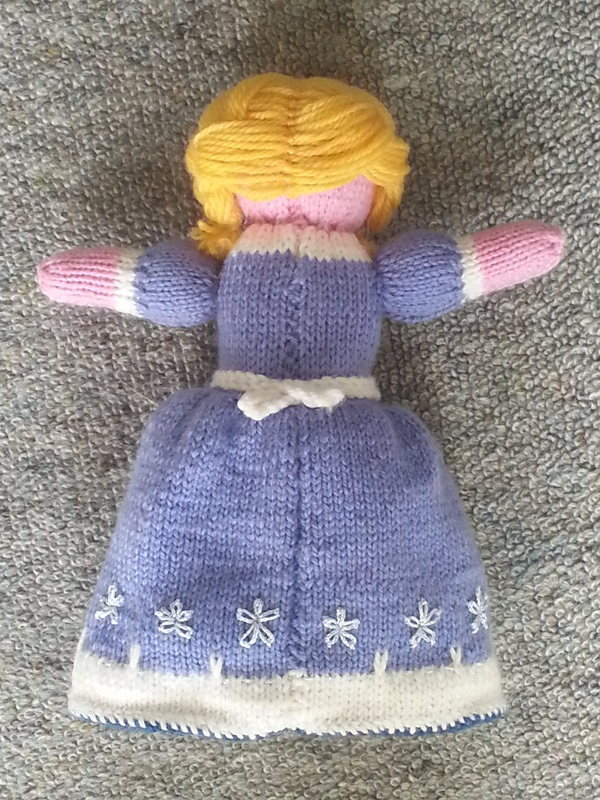 So here is my Cinderella topsy turvy doll. I don’t have any progress photos as I started her before my decision to document my work, but I’m really pleased with her. The back of Cinderella in her rags. Mum crocheted the apron straps for me. Cinderella in her princess get-up. I spent almost as much time embroidering those blasted flowers as I spent knitting the whole thing. But Mum crocheted the tiara for me. Cinderella in her princess get up, showing the little pseudo bow from crossing the belt at the back. 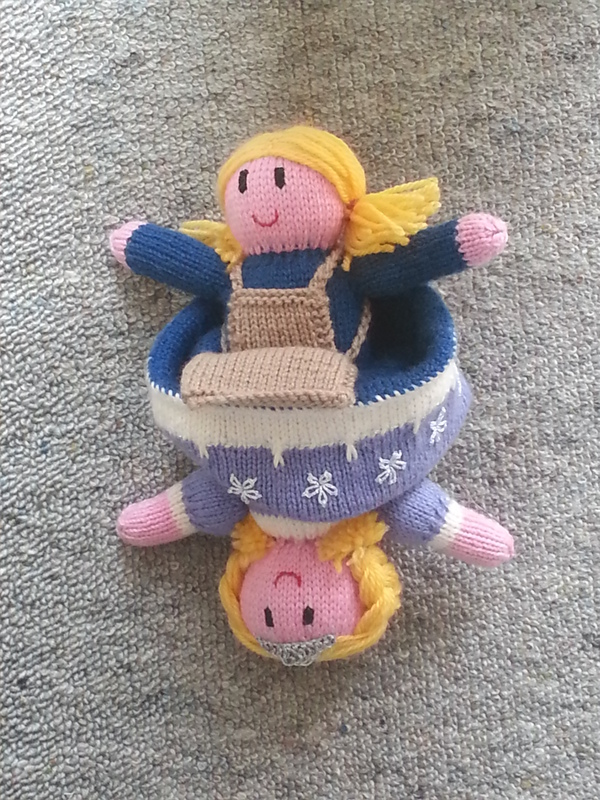 If you’re asking why there are two dolls when I said I made only one, this is a topsy turvy doll, two dolls in one! 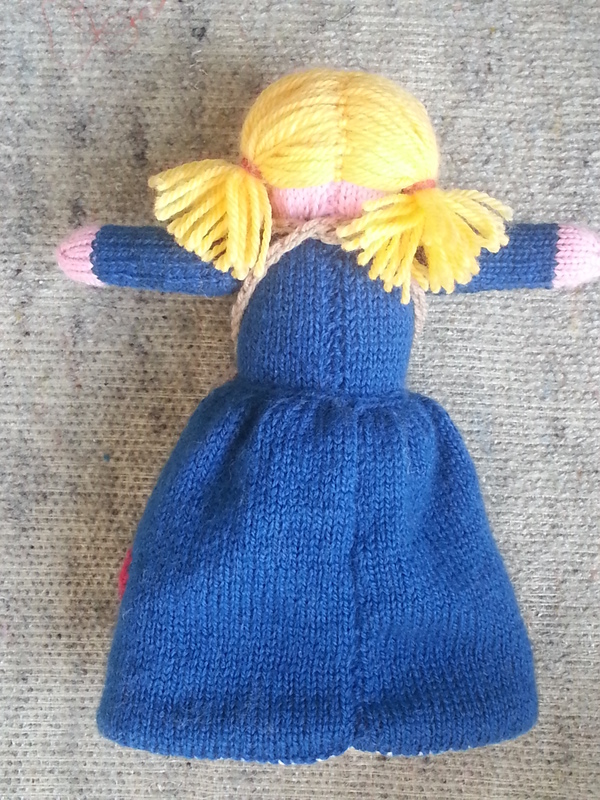 You just have to pull her skirt up to reveal the other end, and the other doll. 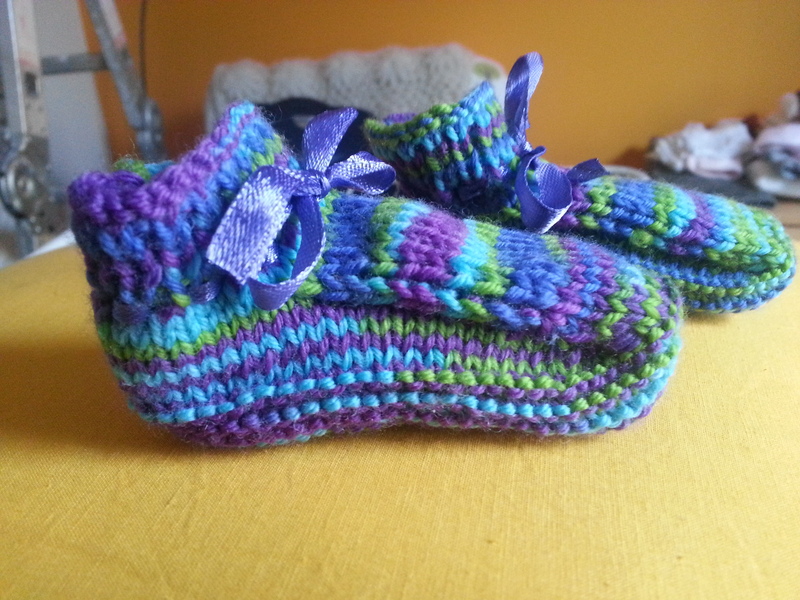 After I finished my doll, over the course of 2012 I knitted a pair of slippers for a friend, of which I am so proud they’ll get their own post, three pairs of booties (of which I only got photos of two) and a baby hat. Learning blackberry stitch on booties. I gave these to a very dear friend for her firstborn. 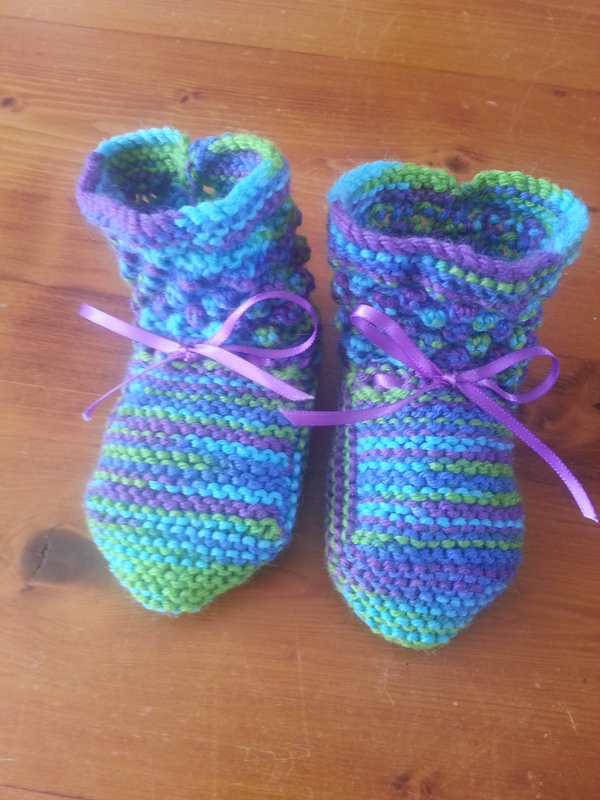 The third pair of booties I knitted and gave away. 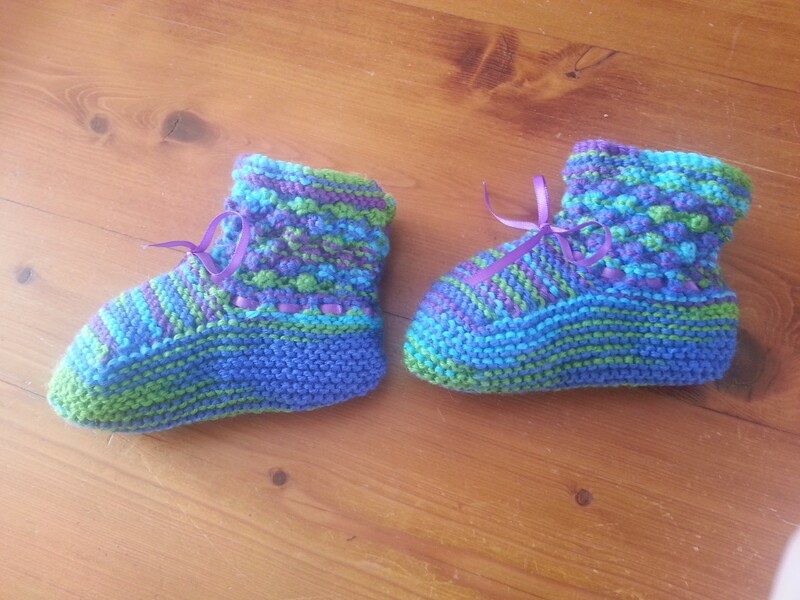 These are knitted flat, using short rows for the shaping on the bridge of the foot. 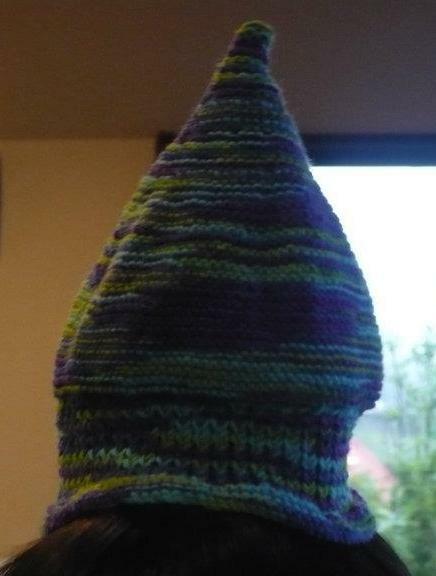 This was actually an adult pattern for 12ply yarn, but I used 4ply and little needles and ta-da! Booties! 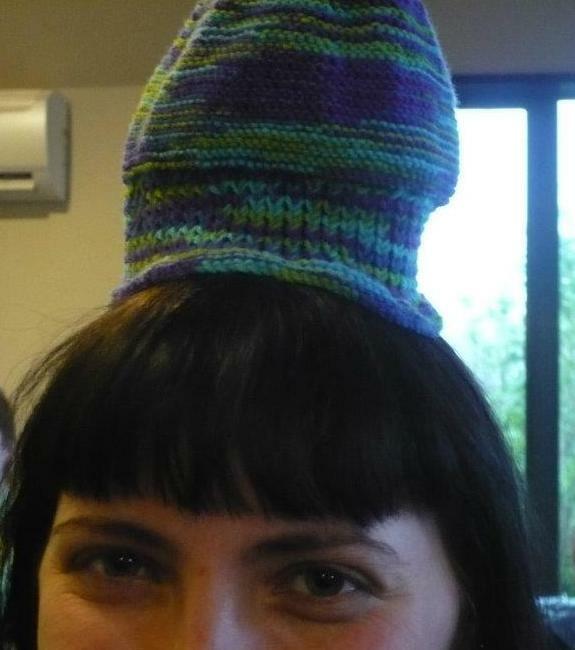 The pixie hat I knitted for a colleague. Want to know what it is modelled on? Me of course! It’s not meant to roll like that on the edges, my ladder effect lace inset was too tight for the rest of the hat, but I’m sure it looks fine on the bub. 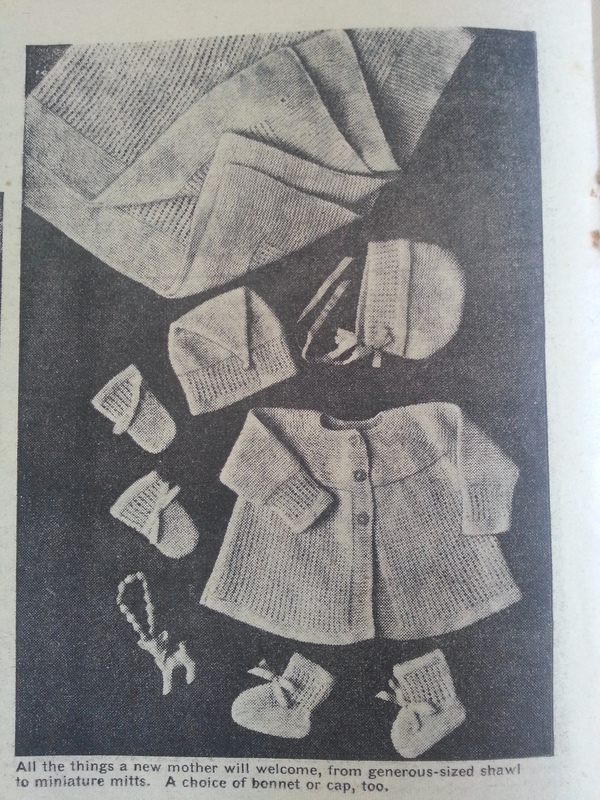 The layette the pixie hat was part of. You’ll note the ladder effect lace inset doesn’t pull in the way it does on mine. This section is much tighter than the rest and there is a huge increase and decrease on either side of this section, but it obviously wasn’t enough to cope with me! Yep, I’ve well and truly got the knitting bug now. At least I don’t have any other new hobbies! Although, after Mum taught me knit, she looked at me and said “next is crochet.” At this point I am still resisting, because crochet is often ugly (in my opinion) and I definitely don’t need yet another hobby! 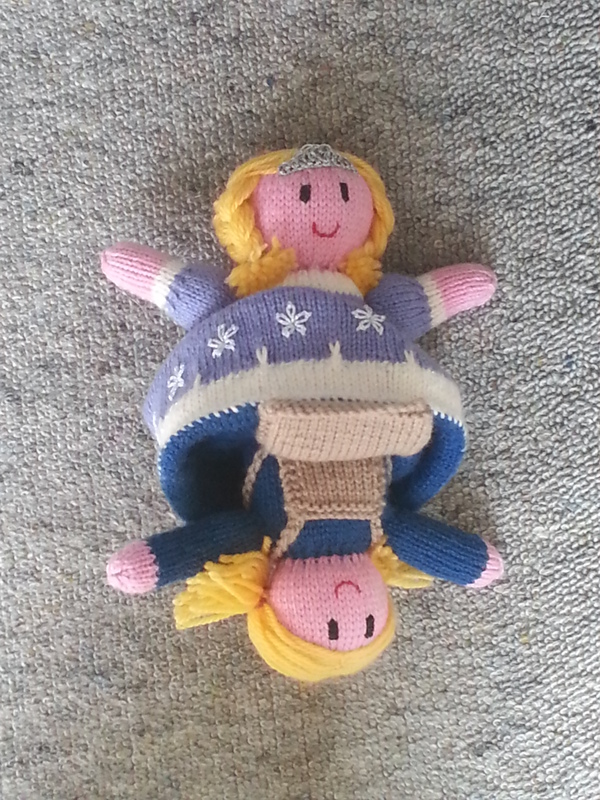 But there are some nice things cropping up… and I loooove amigurumi… ARGH! Looks good if you don’t look too close! I love this shape with a pencil skirt. Photo courtesy Sarah. Alterations made: shortened the straps; interfaced the straps; and lengthened the button placket to be the same length as the top. Likeability: love the colour and shape so much! It is a miracle that this top exists and is vaguely wearable, as it has been nothing short of a tale of woe. 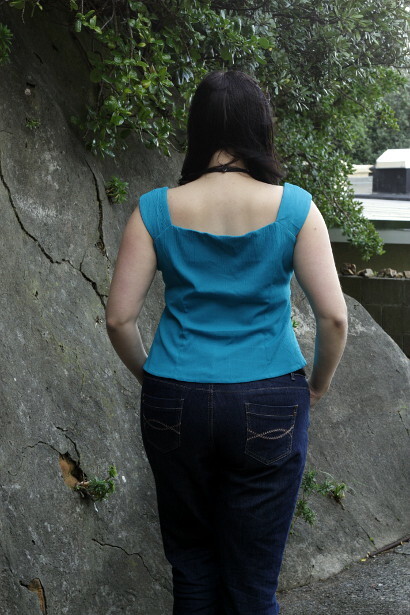 This top was one of two garments I started in October 2011 as part of my ill-fated holiday at mums. 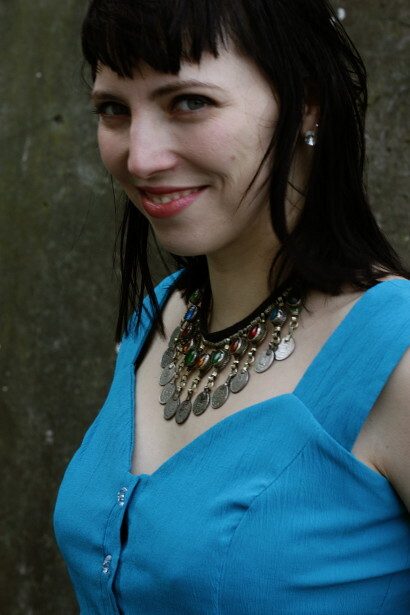 The other was my leopard print circle skirt, yet to be blogged (EDIT: still yet to be blogged). I really wanted this top to fit me well. I really wanted this top to be made well. Although it doesn’t quite hit the score on either count, given its story of creation, I am just pleased it exists. I started this during what was meant to be a crafting holiday with my wonderful Mum. 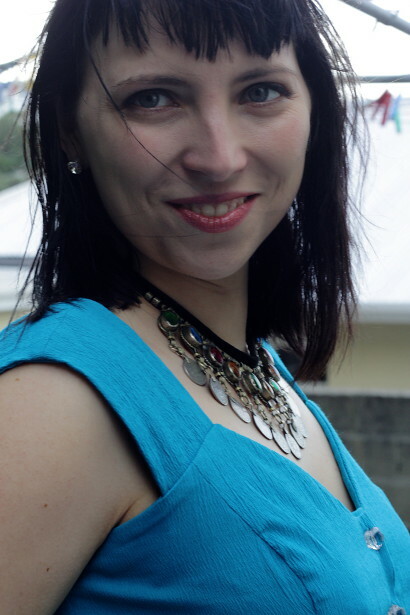 I had great plans – I had two weeks to spend at her place, I’d packed my suitcase full of patterns and fabric (with a small corner left for my clothes and toothbrush), and we were going to sew up a storm. I’d been (successfully, I thought) fighting off a cold over the couple of weeks before my flight to Auckland. The day before my flight I was feeling great! The day of my flight I woke up feeling a bit rubbish. I determinedly ignored it and took my fabric- and pattern-laden luggage to the airport. But by the time my plane landed an hour later I knew I was going to have a doozy of a head cold. And I woke up the following morning with that head cold which rapidly became bronchitis. I spent the rest of my holiday coughing, panting, wheezing, and living off a great assortment of drugs. But I was determined I was going to sew damn it. Oxygen be damned! Note to self. Do not sew when you are oxygen deprived. The bronchitis messed with my brain. I couldn’t think. I got puffed while sewing. I had to keep having a lie down so I could function. And I stuffed up my sewing constantly. I am glad I lengthened the placket, much nicer than the envelope picture! And lookit! Pretty crystal-effect faceted flower buttons! Photo courtesy Sarah. Up close you can see that it pulls a bit around the sides when tucked. Photo courtesy Sarah. I finished the mock-up, making more mistakes along the way. Once it was done, I threw it on. Satisfied with the fit as it stood, I cut the top and got started. But I stuffed up another two seams the same way as I had on the mock-up. I had to unpick one button placket because I forgot to interface it. Then I discovered I’d made the two plackets different lengths. I cut two straps the same so had to recut one strap. Mum and I spent about 6 hours trying to get the shoulder straps to sit right because although I did a mock-up, I didn’t include the strap and they were too wide set for my frame. We spent ages pinning then basting then adjusting to try to get them to sit nicely. Of course, that included the time I spent basting the straps on only to discover I’d put them on back to front. I think I did that twice. Every seam has been undone and redone multiple times. While this was happening, every half an hour or so I’d get too puffed from coughing while hunched over the sewing machine and would have to go and lie down and have another shot of ventolin, my wonder drug of choice. And then when I returned to my sewing I’d discover another mistake I’d made. So with Mum’s help through the tears and the mistakes and the brain fog and the trips to the doctor and the pharmacy I persevered and got most of it done. I bagged it in the UFO pile until my Christmas holiday, when I took it back to Mum’s and hemmed it and added my pretty flower buttons. And just like that, it was done! And it was made nicely! And the fit seems mostly ok! Yeah! See, just short enough to show a bit of belly when untucked. And look at what that strap is doing! Photo courtesy Sarah. Me, I refer to most of my garments the first way. There are posts for my “pink polka dot skirt” and “The skull and roses dress”. But although this top should probably be called my “blue sleeveless top,” I am branching out and calling it my Triumph Over Adversity top. I am just so pleased to have got through the struggles and have this to show for it! And that’s the post. Unfortunately, this story doesn’t end well though. After wearing it only once or twice I realised thatthe fit issues were worse than I first thought. 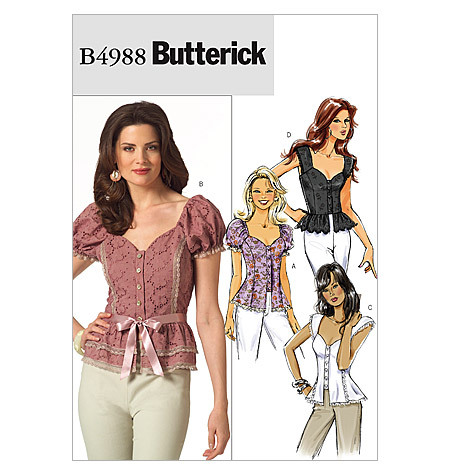 Although it’s meant to be fitted blouse I could pull it on and off without undoing the buttons. The straps STILL don’t sit right and annoy me immensely. In my attempts to make the straps sit well I think the top got hoiked up too high under my arms and it rubs just a fraction too much. Despite lengthening the button placket and checking the overall length it untucks when I wear it tucked in and shows my belly button when I wear it untucked. But I was determined that my perseverance would not be in vain and that I would wear it! And OH I love the colour! The extra width that it has acquired in the back. Where did this come from?! Photo courtesy Sarah. But the last time I wore it I had it on for about 10 minutes before I took it off in anger and shoved it in the rejects pile. No more. It may be a triumph over adversity that it is constructed, but is not a triumph in fit. I think that the crinkle in the fabric has relaxed, making it looser. I suspect the fabric has stretched across the centre back from being worn un-faced (and un stay-stitched) for hours while Mum and I futzed with the straps. I think that my mock-up wasn’t really examined well enough to identify if it actually fit me properly. And I think a series of stitching errors just combined to make it just not fit right. Its fate is yet to be decided. At the most ambitious, I’ll take off the facing, add a centre back seam to reduce the back width, and try to get the strap placement more effective again. Most likely I’ll harvest the buttons and add the fabric to my craft scraps box. My triumph over adversity is short-lived. I am defeated. Now, it is just the Adversity top. Luckily, my other make from the same period (the leopard print skirt), while as plagued with issues, is a fabulous garment that I’ve worn and worn and worn. Yay! And that happy story will come soon. Tell me, have you ever had a garment that you’ve laboured over and cried over and then, after it was done, STILL had to abandon? Do you have any ideas for resurrecting this top that you’d like to share? 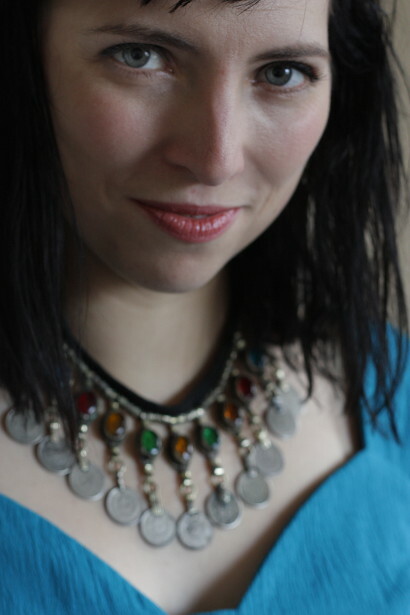 This is a gratuitous shot to show off Sarah’s talent.